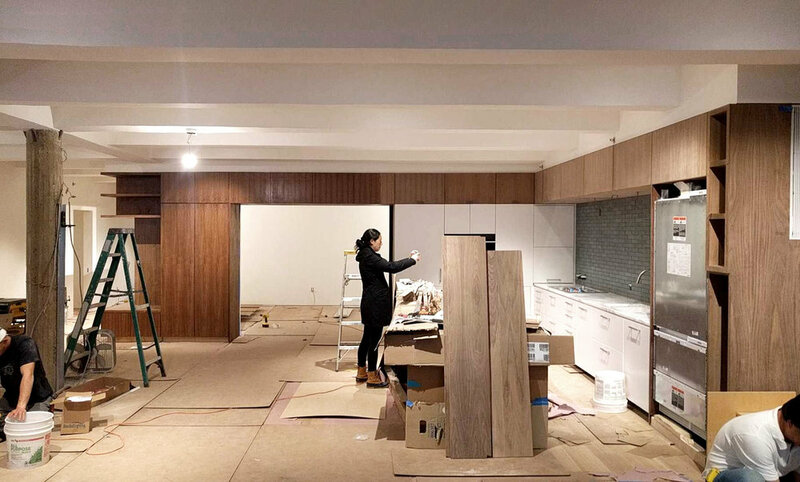 Project Cozy, a new coffee shop / juice bar design has opened on Broome Street between Lafayette and Mulberry Streets. We are excited to have been featured in a new publication from Thames and Hudson called "Warehouse Home". It's a great book for people interested in the reuse of industrial spaces. Three years in the making, the Greenwich Street loft is nearing completion! Nice to be back at the Pavonia Street loft with our photographer. Final project photos coming soon! Currently in design. A millwork intervention snakes its way through the apartment, undulating to create a kitchen, storage space, and an integrated office within. Concrete counter over cerused white oak cabinets. 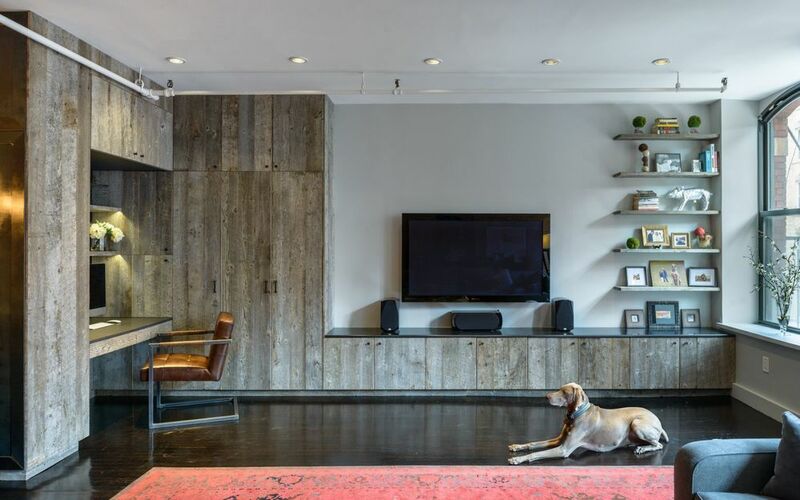 Reclaimed gray wood, leather, and blackened steel were use in this living room entertainment center and office space. The handmade Moroccan tile is a warm contrast to the subway tile on the walls. This birchply and painted mdf cabinet provides AV storage, TV display, and bookshelves on the living room side, and a desk, drawers, and TV cabinet on the bedroom side. The second Macaron Parlour location is now open on Columbus and 86th!